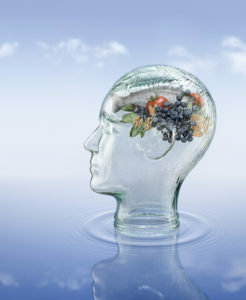 Are you supporting brain health? You need to! Have you misplaced your keys… again? Or can’t remember important dates and other information? Are you forgetting people’s names? All of these are signs and symptoms that your brain needs specific nutrients, exercise and self-care. Just as we need to nourish our body with great quality food and regular exercise to feel our best, we need to give the same attention to our brain. Most of us think of Alzheimer’s and dementia as a disease of the elderly, but that’s not true anymore. “The number of Americans living with Alzheimer’s disease is growing — and growing fast. An estimated 5.4 million Americans of all ages have Alzheimer’s disease in 2016.” Younger onset Alzheimer’s is growing rapidly and it is estimated that by 2050 someone in the US will develop this disease every 33 seconds. The truth is, Alzheimer’s and early onset dementia doesn’t just happen upon as we age, it’s a long-term process that can take years to develop. Medical scientists are calling Alzheimer’s Type 3 Diabetes. Our brain requires glucose to function, but overdosing on sugar and refined carbohydrates can contribute to both insulin resistance in the body (type 2 diabetes), and insulin resistance in the brain (type 3 diabetes). Just as type 2 diabetes doesn’t show up with a reason, neither does type 3. The same high sugar, refined carbohydrate, junk food diet, and overly sweetened beverages most modern folks consume that are associated with type 2, also contribute to type 3. Of course, there are many other factors at work here, but starting the healing process by altering the diet and lifestyle is a great place to begin. Your Brain Requires Glucose: “The mammalian brain depends on glucose as its main source of energy. In the adult brain, neurons have the highest energy demand, requiring continuous delivery of glucose from blood.” We need glucose for optimal brain functioning, but we’ve got to ensure we’re getting the right type and in the right amount. That means cut out the crap! We all know by now that donuts and Ding Dongs are not good sources of glucose. Eat real food! Your Brain Requires Cholesterol: It’s time we get over the low-fat, no-cholesterol craze. Cholesterol plays a crucial role in neural connections and is vital to normal brain function, including learning and memory. People taking statin drugs to lower cholesterol levels suffer from early onset dementia. Eat good quality cholesterol rich-foods to help support the health of your myelin sheath, nervous system and brain. Your Brain Requires Circulation: Cerebral circulation is the blood flow to your brain. Blood supplies your brain with the oxygen, glucose, hormones, fat, amino acids, and other nutrients needed to function optimally. Blood also carries waste (carbon dioxide, ammonia, lactate and hormones), out of the cells. If circulation is impeded, the brain won’t get what it needs, and it also won’t be able to release what it doesn’t need. Daily exercise is imperative to optimizing circulation in the body, and to/from the brain. Incorporating circulatory supportive food and herbs like rosemary, garlic and ginger, into your diet is helpful as well as delicious, too. Your Brain Requires Detoxification: The process of detox for your brain happens almost exclusively while you are sleeping. During sleep the glymphatic system opens, letting cerebrospinal fluid flow rapidly throughout the brain. That fluid flushes waste and debris like Amyloid-beta (proteins that form the plaque found in the brains of Alzheimer’s patients) out of your brain and back into the circulatory system to be eliminated by the normal bodily processes. This means you have got to get a good night’s sleep! Turn off the electronic equipment, turn on your parasympathetic nervous system, and shut down your body for sleep so you can properly detox your noggin. Don’t wait until you’re 65 to start healing your brain, start now using the suggestions above. I would also highly recommend you begin drinking this Cerebral Support tea to give your brain the boost it needs for a lifetime of long memory. It contains gotu-kola to harmonize left and right hemispheres, red clover for lymphatic and glymphatic support, and gingko leaf for circulation.